Catholics commemorate January 31 as the feast day of the Italian-born saint, St. John (Giovanni) Bosco, or more popularly known as Don Bosco (in which, by the way, the “Don” was more of affectionate title of respect given to priests in Italy). If you are not familiar with the man, you may be familiar through the schools in the metropolis that bear his name, not to mention the programs in him name that are aimed at street children and out of school youth. Those were the product of the work Fr. Bosco initiated and believed in during his lifetime. He espoused the idea of helping street children become better citizens through education, academic and technical, and youth formation. From its roots in Italy, the idea was spread to different parts of the world, thanks to the work of the order he founded, the Salesians of Don Bosco. 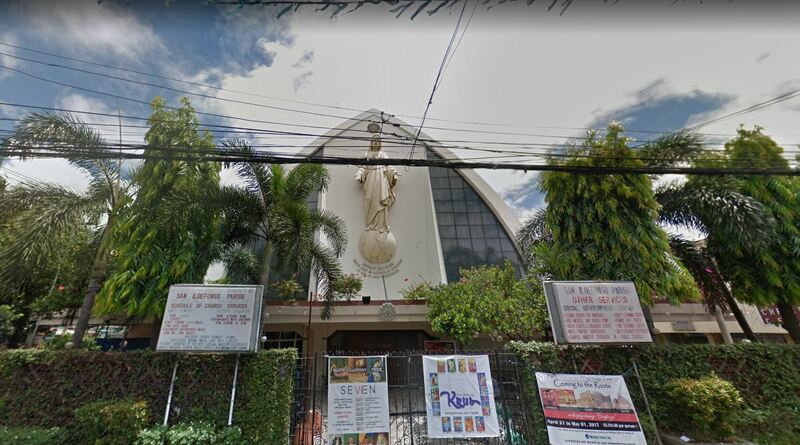 Eventually, they made their way to the Philippines in 1951 and established their first church that year, the San Ildefonso Church in then barely-populated Barrio Culi-Culi (now Barangay Pio del Pilar) in what was then rural Makati, right along the road which was soon to be known as Pasay Road and now Arnaiz Avenue. Two years later, the Salesians began making their mark in the education system with the establishment of the Don Bosco Technical College (DBTC) in Mandaluyong in 1953, followed by the Don Bosco Technical Institute (DBTI) in Makati a year later. Incidentally, the Don Bosco Technical Institute was built just less than a kilometer away from the aforementioned San Ildefonso Church. Over the years, Makati quickly rose to become a highly-developed and urbanized area albeit then still considered a town. The area around DBTI found itself in the middle of such development as it is surrounded by the commercial development of Legazpi Village, the residential development of San Lorenzo Village, and the commercial-industrial development of the Pasong Tamo (now Chino Roces Avenue) area. With these developments, the Roman Catholic Archdiocese of Manila decreed in 1976 for a Catholic parish that will serve that area. In return, the Salesians heeded by building the parish church at the DBTI property along Arnaiz Avenue. For this project, the Salesians tapped the services of Jose Maria Zaragoza, the same architect and National Artist behind the postwar Santo Domingo Church, the old Union Church of Manila nearby, and the Meralco Building, among others. Zaragoza employed a clamshell-inspired contemporary design with a semicircular interior layout. While it may not be as prominent as the aforementioned works of his, Zaragoza’s work on the church is still an iconic one. By 1978, work on the church was finally completed and was dedicated to St. John Bosco. 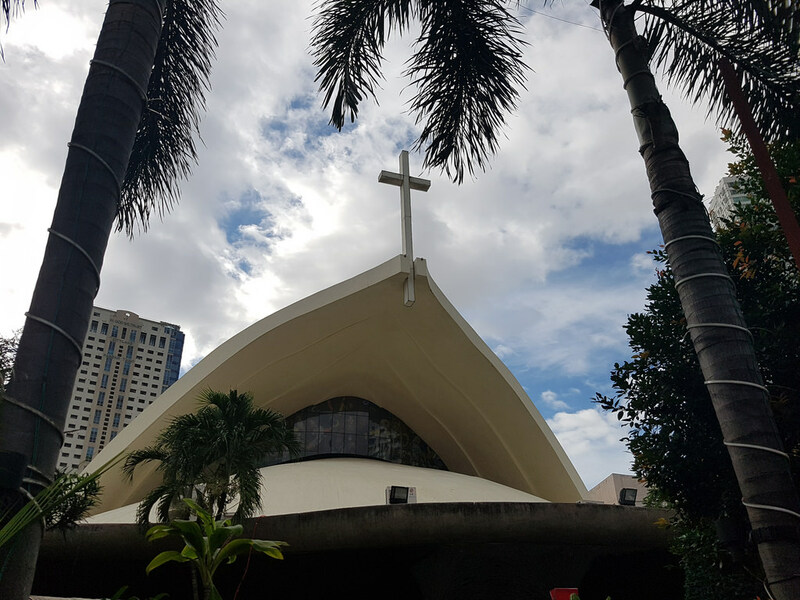 Since then, it has served as a Catholic center in the Makati’s business district and, owing to it being the nearest Catholic parish church to the business district, should make it a popular landmark. But with the continuing developments around the area since, the St. John Bosco Church’s prominence gets somewhat overshadowed (in a literal and implied sense) by the taller skyscrapers and the brighter lights of establishments nearby. Still, the St. John Bosco Church remains a significant landmark in the city. And it is not just because of its significance as a Catholic church. It is a symbol of the achievements John Bosco’s Salesians have made in the metropolis’ landscape and an underrated work of a, sadly, underappreciated National Artist. Thank you. This was one of the first churches we went to hear mass as a family. Didn’t know it was designed by a National Artist. I loved its unique design, perhaps one of the first few buildings I truly appreciated for their architecture.